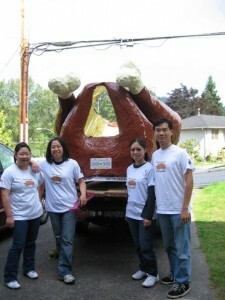 The day before the soapbox derby, we loaded the chicken onto an F150 to get it to Kitsilano. 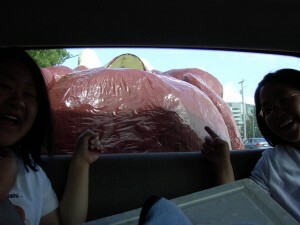 Here we are driving down Lougheed Highway with a giant chicken in the back. Nothing out of the ordinary. 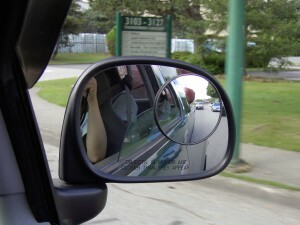 Drive slowly, Leonard! The drumsticks are jiggling! Deviled Egg, Knife, Fork & Chicken chill before the gates open to the public. 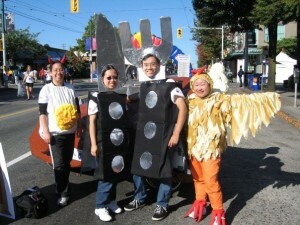 The chicken soapbox tries to relax before the big race (and subsequent crash). What would a big event be without Hot Cops! (It’s an Arrested Development joke – just watch the DVDs already!) 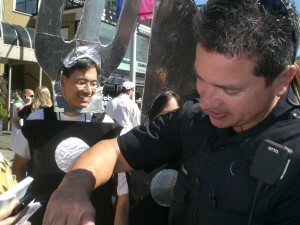 Our team traded stickers with this policeofficer. This photo of Jensen Ackles is here to make me happy. Unfortunately, I didn’t get to meet him. 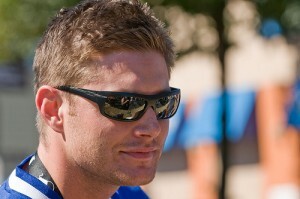 He was there to participate in a celebrity charity race with Jared Padalecki, both from the tv show Supernatural. Photo courtesy of Ianiv & Arieanna. 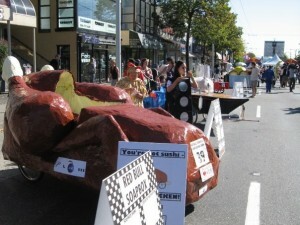 This entry was posted on Friday, September 12th, 2008 at 8:22 pm and is filed under The Event: Red Bull Soapbox Vancouver 2008. You can follow any responses to this entry through the RSS 2.0 feed. Both comments and pings are currently closed.